Tamara S. Greene, M.D. is a board certified neurologist who just recently joined DeKalb Medical Physicians Group Neurology Specialists of North Decatur. She takes particular interest in seeing and treating patients with neuromuscular disorders. In 2000, Dr. Greene received her undergraduate degree from Xavier University of Louisiana in New Orleans, LA, and then went on to receive her doctorate of medicine from St. Louis University School of Medicine. She completed both her internship and residency programs at the UT Houston Department of Neurology UT Houston Health Science Center in Houston, TX. 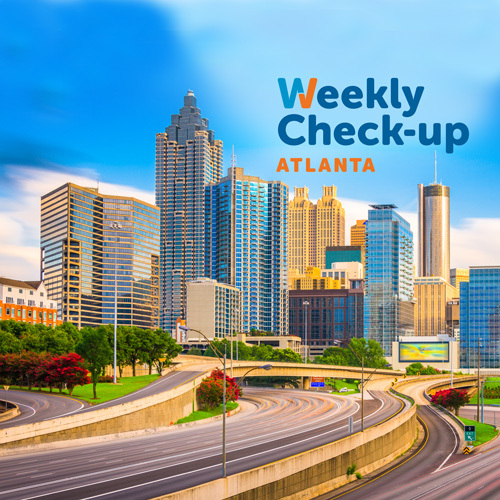 Just prior to joining Neurology Specialists of North Decatur, Dr. Greene practiced part-time as a private neurologist, while simultaneously completed a Clinical Neuromuscular Fellowship program at The Methodist Neurological Institute in Houston, TX. Dr. Greene is the recipient of numerous honors including being named Chief Resident at UT Houston Health Science Center as well as having the honorable experience to participant in the J. Kiffin Penry Epilepsy Mini-Fellowship Program. Dr. Greene maintains active memberships with the American Association of Neuromuscular & Electrodiagnostic Medicine and the American Academy of Neurology, among others. When she’s not busy with her patients, Dr. Greene enjoys aerobics, traveling, cooking and attending concerts. 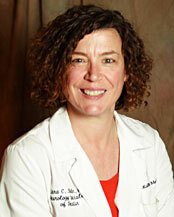 Dr. Sara Shuler has been a practicing neurologist since 2003. 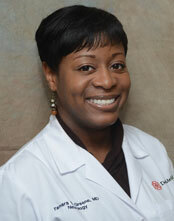 She is board-certified in Neurology and Sleep Medicine by the American Board of Psychiatry and Neurology. She is a general neurologist and enjoys seeing patients with all neurological disorders including multiple sclerosis, headaches and Alzheimer’s disease. She has advanced training in epilepsy diagnosis and treatment. Dr. Shuler is originally from Crawfordsville, Indiana. She received her B.S. in Food Chemistry from Purdue University in West Lafayette, IN, in 1994 and her M.D. from Indiana University School of Medicine in 1998. She completed her internship and residency in neurology at Emory University in Atlanta, GA, with an emphasis in epilepsy. Prior to medical school, Dr. Shuler pursued a career as a professional musician. She received a degree from the Guitar Institute of Technology in 1984. She continues to play for fun and in her spare time enjoys running, any athletic activities, cooking and following current events. She has a daughter and a son with her partner, Sonya.